On behalf of our Partner Association of Corporate Counsel Europe, Falkerin™ Recruitment would like to invite you for an evening devoted to in-house career development led by Patryk P. RYBIŃSKI, Director of Falkerin™ Recruitment and organized on June 6th, 2018 at The Office – 29, Boulevard Grande-Duchesse Charlotte, Luxembourg. The topic of the evening will focus predominantly on “What is the outlook for the Luxembourg legal market, and what can you do to get ready to make the next move in your career?” Come to hear these questions answered – and bring your own – in an interactive session at a unique location. 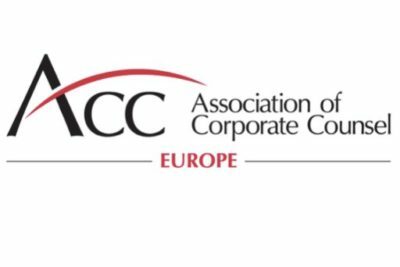 ACC Europe is a chapter of the Association of Corporate Counsel, a global bar association of in-house counsel which, since its founding in 1982, has grown to more than 40,000 members in 90 countries, employed by over 10,000 organizations. The ACC Europe serves the needs of lawyers practicing in corporations and other organizations throughout Europe. ACC Europe promotes the interests of in-house counsel through information education, networking opportunities and advocacy initiatives. For more information contact: eur-administrator@accglobal.com. Falkerin™ Recruitment is a Luxembourg based Advisory Firm specializing in Legal & Compliance, Accountancy & Finance as well as Banking and Operational Services Recruitment. Falkerin™ Recruitment uses its experience and competences to introduce methodology and offer successful recruitment services based on Partnership – Tailored Approach – Solution concept. COST: Free of charge although sits are limited. Should you be interested to participate in the Event please register here allowing us to keep the high standards of the venue. Thank you for your understanding.